A photo montage utilizing two wood surfaces. 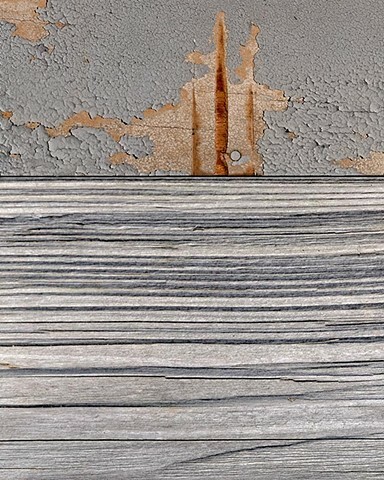 One is natural wood grain, the other is man-made plywood with peeling paint, a nail and dramatic scars in the surface. The abstract juxtaposition of these two wood types, suggests calm water with a dramatic sky in the distance.